Looking for new ideas for adding wall art to your space? Why not try a unique, budget conscious solution like creating your own wall art with scraps of decorative fabric. Here’s some inspiration for you! 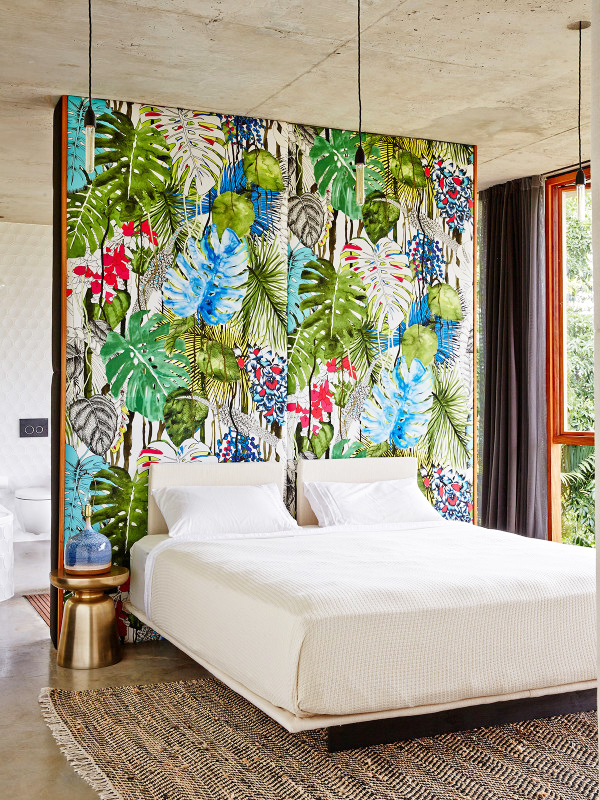 Install a large fabric panel behind your bed as a unique, color splash headboard. You can also frame your fabric to create wall art with a fine art feel. If you frame several pieces of fabric separately in complimentary colors, then you can expand to create a gallery wall as a focal point that showcases your unique fabric designs. Hanging fabric panels as room dividers is also a fun idea that has a fine art feel to it! Layering light-weight solid fabric in different colors and suspending the fabric from the ceiling almost feels like installation art and still allows natural light to shine through. (see above.) 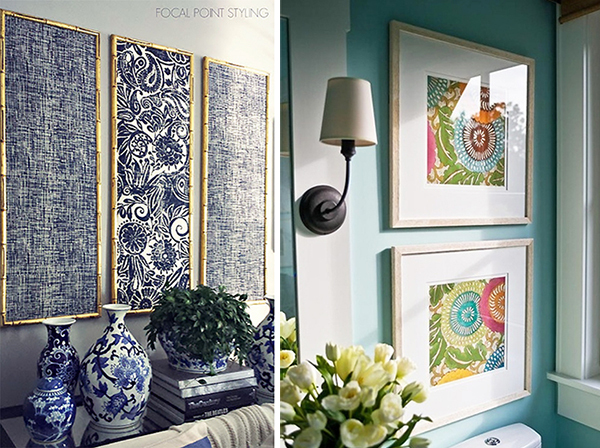 Using a similar technique to hang heavy-weight fabric panels in bold patterns is also a nice approach to a room divider that allows for a bit more privacy than the colorful translucent panels shown above. You can find a great example of using a heavier weight fabric as a wall panel below. 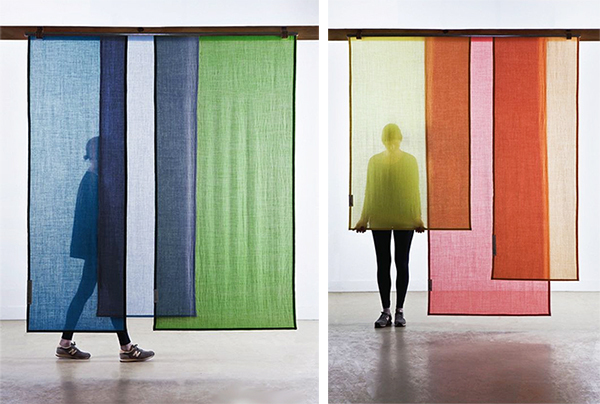 I have to say that I really love the idea of using hanging fabric as a room divider. Such a unique idea! If you decide to create wall art or make a room divider out of your favorite fabric, remember to avoid displaying any frayed ends. Once your fabric is cut, finish the edges with a sewing machine or upholstery tape. To avoid concerning yourself with frayed edges, try framing your fabric instead. Let me know if you give these ideas a try!